Dealing With People With Personality Disorders | epsychedcorners! There is always that frustrating statement we tend to mention once in our lifetime. Unknowingly or just associating with it, we tend to say “It is not that easy to deal with difficult people.” We tend to say this statement whenever we interact with them. The school, house, and workplace are the most common places we usually pertain to. We tend to point people as difficult people to deal with. However, we are oftentimes being held back by certain types of attitudes, discipline, or sometimes attachment. There are also certain scenarios that held us back and these are puzzling scenarios for most people. They come up with different conclusions and questions as to how these difficult people became difficult people to deal with. Psychologically speaking, we usually take a deeper look on the individual’s personality first. There are tons of personality quizzes available out there to further gauge someone’s personality. However, there is also another way on how to describe them and that is just by observing. We look at their behavior, their way of reacting, and responding to different situations impromptu. You can easily observe a person if you deal with them in a daily basis because you can get the trend of their responses and reactions. To some extent, these inappropriate personalities become personality disorders once their social characters create a life of instability. This is not just for themselves but also for the people they interact with. Below are different descriptions of different personality disorders. 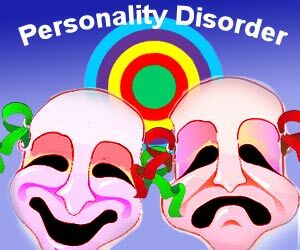 People with personality disorders tend to deny that they have such disorders because it can painstakingly ruin their social impression of themselves. Although everyone has his or her own personality disorder, it is only characterized as such if their personality extremely affects their whole well-being and functionality. It takes a certain period to observe someone and once you get to predict someone’s response or reaction in a certain event, it mostly follows a disorder due to repetitive and predictable behavior. People with the Schizoid Personality Disorder. These people actually hate and tend to detach themselves from any social relationships. They display a restricted type of expressed emotions. Other people call them as the “somber types”, the “aloof”, and the “loners”. People with the Paranoid Personality Disorder. These people are characteristically distrustful and suspicious of others. They are even prone to unjustified anger or aggressive outbursts when they observe others as disloyal or deceitful. Also, these people are oftentimes emotionally “cold” or extremely serious. People with Schizotypal Personality Disorder. You can observe these people during special situations, where they usually show inappropriate reaction or they do not react at all. You can even see them talk to themselves and are mostly characterized as outlandish or with paranoid beliefs, and prefer to be isolated. People with Antisocial Personality Disorder. These people are characterized by lack of empathy with difficulty in controlling impulses and manipulative behavior. People with Borderline Personality Disorder. These people have difficulty in regulating their emotion and lead to a dramatic and abrupt shifts in mood, impulsivity, poor self-image, and confused interpersonal relationships. You can find these people as highly sensitive to rejection with fear of abandonment. They sometimes have higher risks of suicide threats and attempts. People with Narcissistic Personality Disorder. These people have an egocentric behavior and characterized by grandiosity, need for admiration, and lack of empathy. They are insensitive to others’ needs and are indifferent. People with Histrionic Personality Disorder. These people usually exhibit a insidious pattern of excessive emotionality and attempt to grab everyone’s attention using unusual ways such as bizarre images or speech. They show this need to be the center of attention. People with Avoidant Personality Disorder. You will find these types of hypersensitive people when it comes to rejection leading to unwillingness to take social risks. They oftentimes display high level of social discomfort, timidity, fear of criticism, and just avoid activities that involves interpersonal interaction. People with Dependent Personality Disorder. They usually demonstrate a pattern of needy and submissive behavior. They just rely on others when it comes to decision-making for their own. They look for excessive reassurance and advice and are also extremely sensitive to criticism and disapproval. People with Obsessive-Compulsive Personality Disorder. They lack flexibility and are very focused on order and perfection, leading to interferences to productivity and efficiency. People with these types of dysfunctionality are indeed difficult to deal with. However, it is not that easy to handle these people without knowing why and how they became as such. It would also be unfair to treat them in a way we would avoid communicating with them. When at work, dealing with these types of people should not be avoided as it will only aggravate the whole situation. By being aware that people with these kinds of disorders are mostly classified as difficult people to deal with, you can at least leverage yourself and avoid certain frays.